Nigerian architect Kunlé Adeyemi of the firm NLÉ Architects recently unveiled his third iteration on the award-winning Makoko Floating School, a prefabricated building system aimed at addressing “the challenges and opportunities of urbanization and climate change” through sustainable and alternative building typologies. 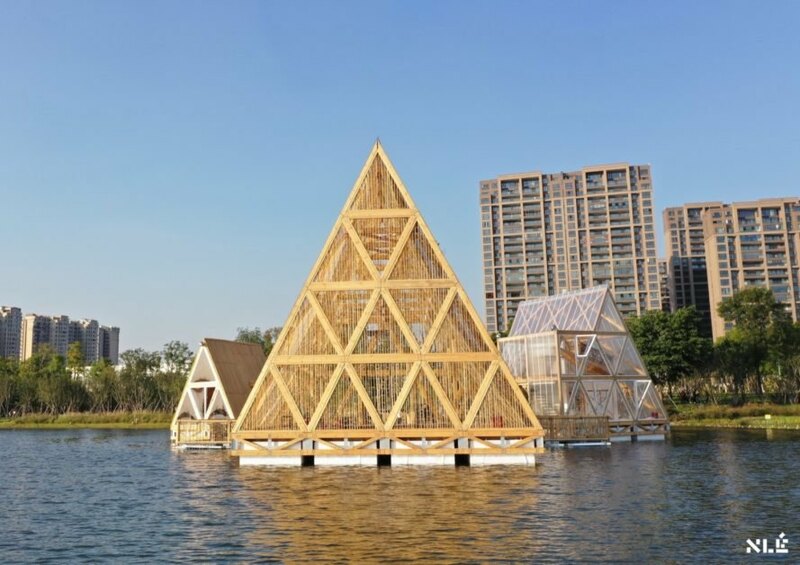 Dubbed the MFS IIIx3, the thought-provoking collection of structures has been set afloat on a lake in Chengdu, the capital of southwestern China’s Sichuan province. 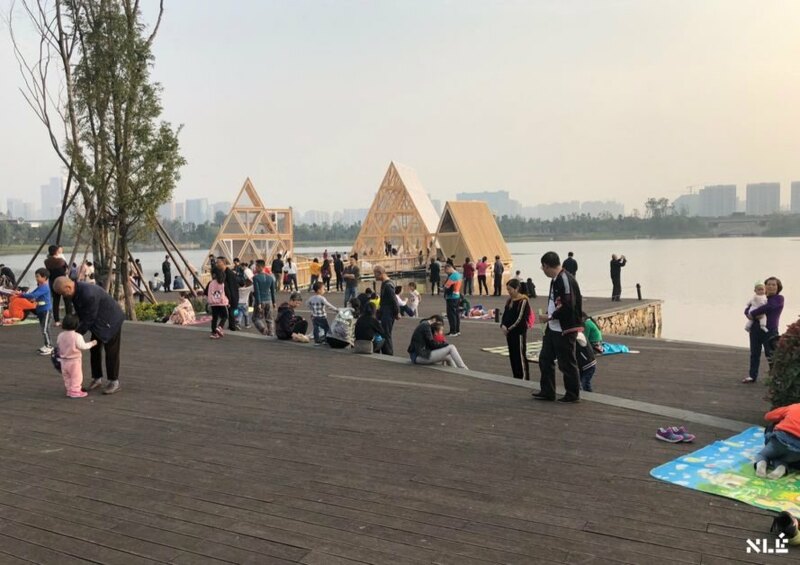 The project was created in collaboration with local Chengdu partners Fanmate Creative Furniture Company and Chengdu Keruijiesi Technology Company. 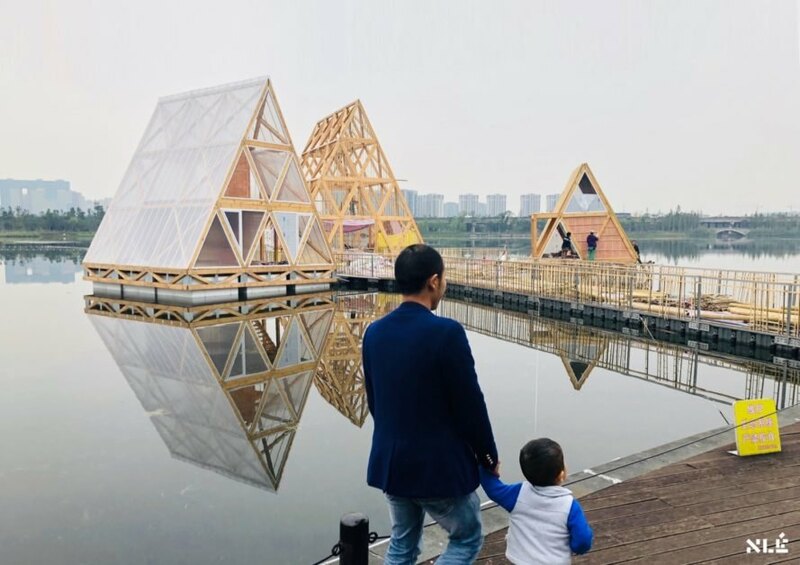 Located on Jincheng Lake in Chengdu’s new ecological belt, MFS IIIx3 marks NLÉ Architects’ fourth prototype of the Makoko Floating School. 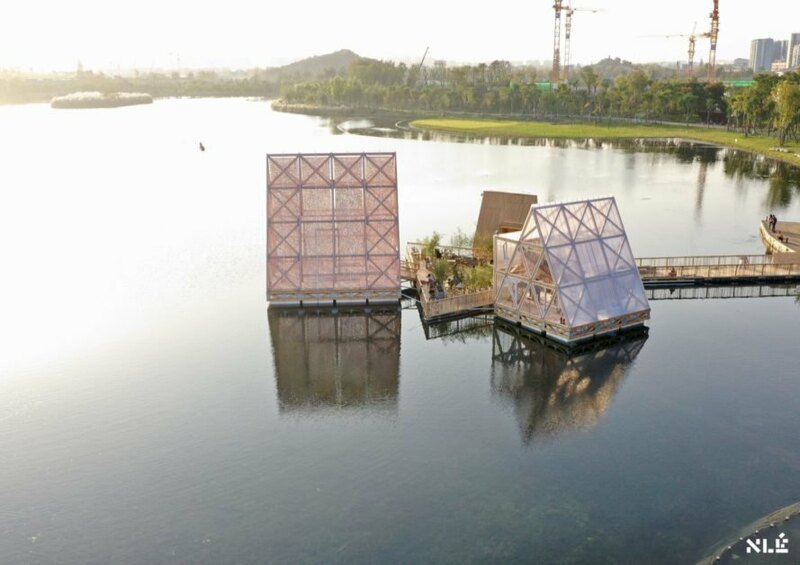 The first prototype floating structure was built in 2013 for and by the historic water community of Makoko in Lagos, Nigeria, an area considered at-risk for climate change. Although the initial project has met its demise, the architects have gone on to improve and reiterate their designs. In 2016, the Waterfront Atlas (MFS II) was launched in Venice, Italy, as well as the Minne Floating School (MFS III) in Bruges, Belgium. In their latest take on the Makoko Floating School, the architects have recreated the modular building in three sizes — small, medium and large. All structures were prefabricated from wood and locally sourced bamboo. The collection of floating buildings includes an open-air concert hall, an indoor exhibition space and a small information center. All three spaces are organized around a communal plaza. These prefabricated, floating structures are designed to address climate change. The buildings are a reiteration of the originial Makoko Floating School. 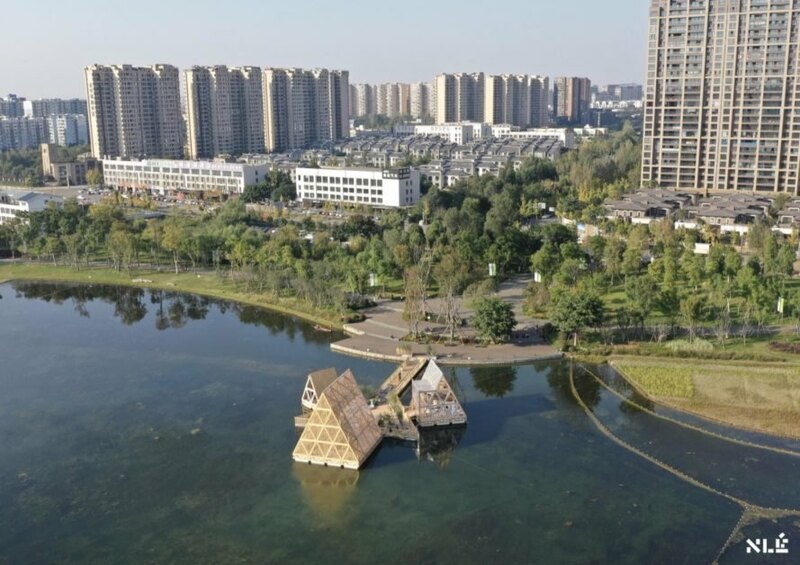 The structures were set afloat on Jincheng Lake in Chengdu. The project is a collaboration among NLÉ Architects, Fanmate Creative Furniture Company and Chengdu Keruijiesi Technology Company. Each of the structures are made with timber and locally sourced bamboo. The project includes three modular structures in sizes small, medium and large. The buildings include an open-air concert hall, an indoor exhibition space and a small information center. The units float around a central plaza. The project exemplifies sustainable and alternative building typologies.